Community Advice Ards and North Down has two in house Debt Advisers situated in the Bangor and Ards offices. They provide a first class service when it comes to helping clients with their debt problems. To contact either debt adviser please call the Advice Line on 0300 123 9287 for an initial consultation. An adviser will check if it is possible to maximise your income before taking your details and passing them on to our qualified Debt Advisers. The Money Advice Service, in partnership with CAAND, provide free debt advice to the public across all council areas. The Service now has 17 full time Specialist Debt Advisers throughout eleven council areas. This service has been launched following research carried out by the Money Advice Service last year which is showing that on average 21% of adult individuals in Northern Ireland are over indebted. 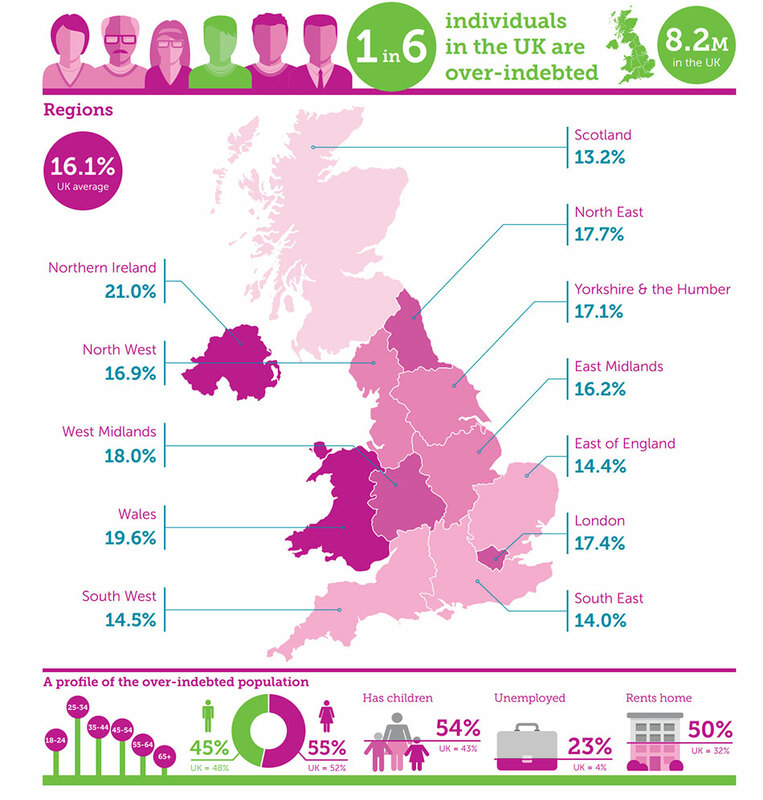 Indeed Northern Ireland has the highest level of indebted individuals in the whole of the UK. At Community Advice, we are only too aware that clients contacting our organisation amongst other issues, may be struggling with money and debt worries. Problem debt is rarely an isolated financial problem without additional consequence. The stress of managing tight finances, dealing with creditors, as well as the stigma associated with problem debt can lead to mental health difficulties, family breakdown and addiction. This new service provides free, confidential and impartial advice and is available via freephone, email, webchat and through face-to-face appointments. The service aims to provide advice and support for those who are struggling to deal with debt. This is now more important than ever when we consider that in our society, many families face new and challenging pressures. One of the greatest of these is debt. Unfortunately the research is showing that individuals will wait more than a year before they seek advice, this leads to further distress and pressure on families.